Moving applications to the cloud is risky and complex, deployments and ongoing management is labor intensive and high SLAs just can’t be achieved. 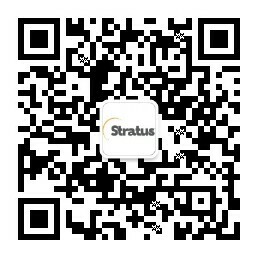 You can count on Stratus, the availability experts, for reliability in the cloud. With Stratus’ Cloud Solutions, you can enhance your solutions with the availability level they need, including stateful continuous availability, and efficient workload management for cloud applications. This private and hybrid OpenStack based cloud solution provides multiple availability levels and intelligently and dynamically matches availability levels and infrastructure resources to applications transparently; using only what you need when you need it. Now, you can maximize ROI with one cloud solution for all applications. Automated deployment and management saves time and money reducing new deployments from days to minutes. Deployed on commodity servers with no special skills required, the modular and flexible architecture preserves existing investments. With fast compute processing of continuous availability you can better utilize your VMs and servers. This unique solution is made possible with Software Defined Availability (SDA), the next generation of availability. Software Defined Availability moves downtime prevention and recovery from the hardware or operating system to an automated software layer. SDA is applied to the workloads and their resources to keep them up and running. If failure occurs, a 2nd paired virtual machine is brought back up instantaneously. This significantly changes not only what applications can be run in the cloud, but also how they run in the cloud – further increasing cloud benefits. With SDA – any application with any availability need can be run in the cloud with application transparency. Stratus’ Software Defined Availability provides availability at every layer for true continuous availability in the cloud without the performance overhead associated with other fault-tolerant approaches. Availability Services enable you to achieve stateful continuous availability for mission critical workloads as well as and other availability level options for less critical workloads. Workload Services enables fast, easy and efficient deployments and management for all workload types in OpenStack based clouds. The two products work together to bring you availability in the cloud with efficient deployment and management. They can also plug into other cloud solutions. For over 30 years, Stratus has delivered unparalleled availability to companies in every industry of every size. Count on us to deliver that same reliability in the cloud.